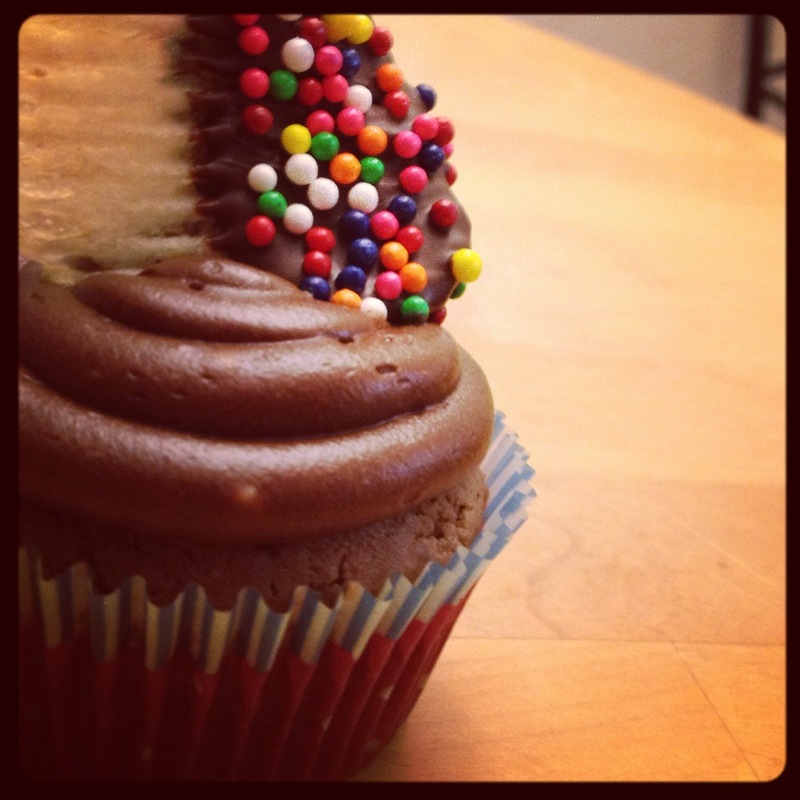 Tomorrow night is the long-awaited Cupcake Camp Boston. Today, I’ve been busy baking and prepping for the event. This year, I’m making these Chocolate Mashed Potato Cupcakes that I first saw on the Sprinkle Bakes blog. I made a few minor modifications to the order of adding and mixing ingredients but otherwise left the recipe as-is. Yes – these cuppies have mashed potatoes in them, but you wouldn’t know it! The 1/3 cup of leftover taters in the batter helps to make a dense but moist cake. However, instead of making standard size cupcakes, I’m bringing minis tomorrow night since event attendees are assaulted by so many different tempting treat combinations. It’s nearly impossible to eat a full size cupcake. So, hopefully, these little guys won’t dry out too much before tomorrow night. Now, here’s the recipe so you can try these the next time you have some leftovers! Find All’s Fare on Facebook!